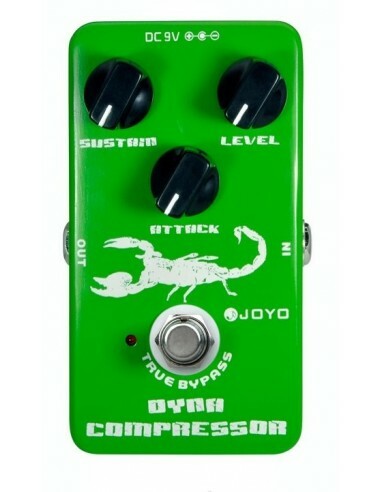 The latest addition to our guitar pedal family is the fantastic Joyo brand! During the middle of 2014 Joyo finally set up UK distribution and sought out to find nice, well stocked, local stores to stock their product; and here we have it! Finally you're able to browse through their great selection of pedals, but still maintain that low price point that everyone has come to know and love. 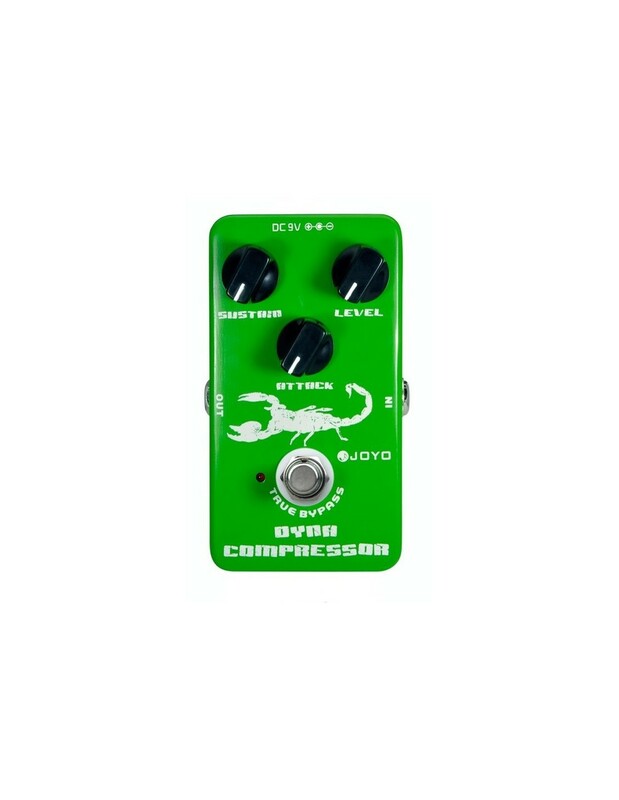 The Dynamic Compressor from Joyo has been claimed to be based on the Ross design and fattens things up quite nicely, more like a limiter than a compressor its simple controls and "dynamic" design allows even the most novice of engineer/guitar-effects-connoisseur's to get a tone they love!